China Energy & Environment Forum (CEEF): What is the water footprint of coal in Ordos, and how is this industry reducing its impact? 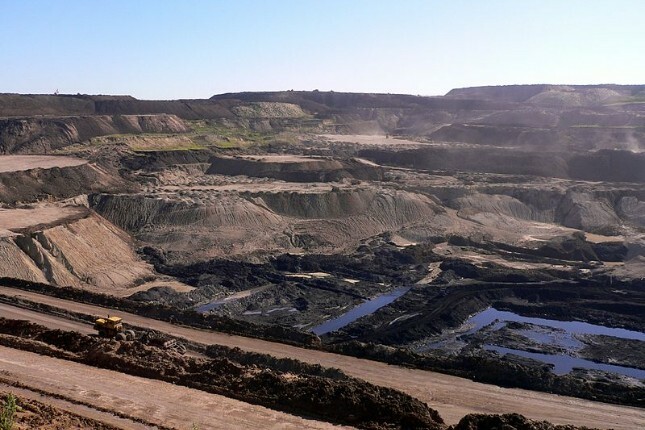 Shaofeng Jia: In 2015, coal production gulped 38 percent of the total industrial water used in Ordos (0.25 billion m3). Encouragingly, after using water to wash coal, most coal industries today are partially treating the water and reusing it to clean coal, to cool coal-fired power plants, or for landscaping. This kind of water reuse is a necessity if the coal sector in China is to be sustainable. CEEF: Why is agricultural water use decreasing while industrial water use goes up in Ordos? SJ: The increase stems from the government’s grand plan to increase the production of coal in Ordos, which is highly water-consuming. Agriculture is using less water due to conservation efforts that allowed farmers to maintain irrigation and crop production and to make money by selling the saved water to the industrial sector. Farmers and industries in Ordos now have few water-saving possibilities, so the water resource planners in Ordos are setting up a transregional water rights transfer project to buy water from irrigation districts in Bayan Nur, which is 240 miles away from Ordos. CEEF: Transbasin water transfers can be controversial or lead to problems in the basins of origin. I read in your coal-water report that Inner Mongolia is capturing and treating unconventional water resources, is this a better way out of the water crisis than water transfers? Or are there obstacles? SJ: Even though Inner Mongolia is increasing the use of unconventional water resources [such as brackish groundwater, wastewater, and rain harvesting] the total quantity is still very small. One of the main barriers is the higher cost: surface and groundwater prices are considerably lower. Another barrier is people’s negative perception of wastewater reuse and desalinated salt water. Many people assume reused water is not clean because of the lack of access to scientific knowledge. CEEF: Continuing to tap the cheaper and limited groundwater could accelerate a Day Zero for Ordos. Are there top-down and bottom-up solutions to protect the groundwater in Ordos? SJ: Water resources are still owned by the state in China, so the Ministry of Water Resources leads in mandating top-down solutions to water resource allocation problems. The ministry also requires that all the regions where groundwater is being over-extracted should shift to depend more on unconventional water. At the same time, dry regions in China are tapping bottom-up market and management solutions, like water rights trading, cost recovery, and encouraging better management through farmer water user associations. CEEF: Are there any innovative solutions that have arisen as water-intense industries in Ordos are on the brink of shutting down? SJ: New construction of water-intense industries is seldom permitted and those that are must meet high water-saving standards. Thirsty coal and other industries that already exist are supposed to invest in water-saving technologies to meet standards on water use quantity and water use quotas. If they can’t meet the standard requirements, they are supposed to be shut down. CEEF: Despite the standards to block water-intensive industries, coal conversion industries that produce gas, liquid oil for vehicles, and industrial chemicals continue to grow in Ordos. How will they get the water they need? SJ: Coal conversion will continue to expand in Ordos as long as the energy price goes up, and they will get water from transregional water right transfer projects. In September 15, 2017, a ceremony to launch a project on 4 billion m3 coal-to-gas demonstration was held at the Zhungeer Qi Da Lu Industrial Park in Ordos. This project was constructed by Inner Mongolia Beikong Jingtai Energy Developments Ltd, which will supply gas to Beijing and the surrounding regions. The water used for the industrial project is mainly from water rights transfers and intense water recycling and reuse. However, the cost of coal-to-gas is still higher than natural gas, so unless subsidized, the coal-to-gas industry faces a difficult market situation. CEEF: Could you tell me about a successful water rights trading project in Ordos? SJ: Before 2013, small water-rights trading projects were within prefectures and cities. The pilot water rights transfer project between leagues and cities was implemented in the Yellow River Basin by the Inner Mongolian government in 2014 after one year of planning. It was based on the Hetao irrigation area water-saving project, plus the water transfer to the industrial projects along the Yellow River. This large-scale water trading project has solved water use problems for more than 50 industrial projects in the province. The program raised more than 30 billion yuan [$4.8 billion] of water-saving funds along the Yellow River, providing water resources for industries worth about 144 billion yuan [$22.9 billion], and increasing the region’s GDP by about 35 billion yuan [$5.6 billion]. CEEF: Ordos is wrestling with some serious coal-water choke points. With all its efforts, is Ordos a model for other water-scarce areas in China’s coal country? SJ: While Ordos has been working ambitious plans and creating markets to limit water scarcity, it is going to be an uphill battle for the city, so it is not yet the model. Lan Geng is a research assistant with China Energy & Environment Forum. Photo credit: Coal mine in Inner Mongolia, August 2005, courtesy of Herry Lawford.